What would you do if you found a rickety robot sitting under a tree in your back garden? For floundering 34-year-old Ben Chambers the answer is obvious: find out where it came from and take it there to be fixed, even if it means risking his marriage in the process. 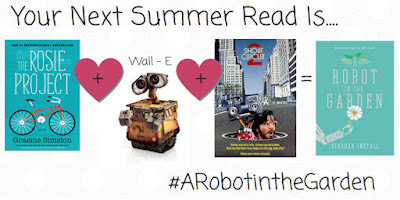 Determined to achieve something for once in his life, Ben embarks on a journey that takes him and the endearing robot, Tang, to the far side of the globe...and back again. Together they will discover that friendship can rise up under the strangest circumstances, and that Artificial Intelligence can teach a man what it is to be human. Funny, touching, charming, wise and a bit magical, A Robot in the Garden is a gem of a first novel, perfect for anyone who has ever found it difficult to connect with the world. A Robot in the Garden is an adorable story about a man and his robot. After finding Tang in his garden, Ben goes on a mission to to find out where he comes from. As they circle the globe, Ben becomes increasingly attached to his new friend. Tang is like a child. Constantly learning from his surroundings and throws Tangtrums when he doesn't get his way. His vocabulary is also evolving although he makes up words and phrases which he calls Tanglish. A Robot in the Garden has become a new favourite of mine. As I neared the end of the book, I was constantly looking at how many pages I had left because I didn't want it to end. I hope Deborah Install decides (if she hasn't already) to do a follow up to this book. I would love to find out what Ben and Tang are up to now. 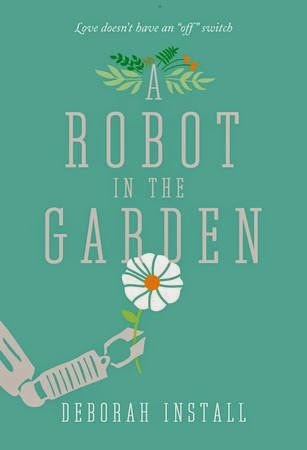 I whole heartedly recommend A Robot in the Garden to anyone who enjoys a great story about a budding friendship. The graphic below pretty much sums it up. What would you do if you found a robot in your garden? Disclaimer: I received an Advanced Reader's Copy of A Robot in the Garden from Random House of Canada. All opinions are my own.